Working WITH Countrymen FOR Countrymen. Indigenous education, health and industry. Self-sufficient agriculture across remote Aboriginal communities and outstations. Decriminalisation of cannabis for industrial, medicinal and personal use. For a more detailed overview of the things I stand for and wish to see happen for our Countrymen in ARNHEM, read the policies pages. 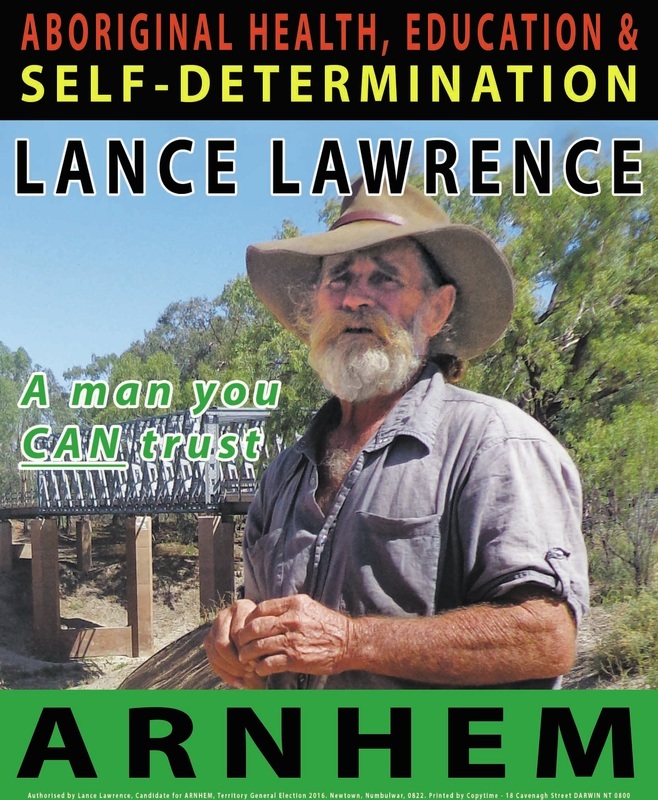 All 2016 Territory General Election content on this website and linked social media authorised by Lance Lawrence, Independent Candidate for ARNHEM, Newtown, Numbulwar 0822.